MSU BILLINGS NEWS— The Montana State University Billings Library is featuring a traveling exhibit Frankenstein: Penetrating the Secrets of Nature, on display through March 17. The six-banner traveling exhibit explores the Birth of Frankenstein, the life of author Mary Shelley, the scientific search for the principle of life, and the transformation of the “monster” in popular culture. Monday-Thursday: 7:30 a.m. – 10 p.m.
Frankenstein: Penetrating the Secrets of Nature is produced by the National Library of Medicine (NLM) which works in touring the exhibit to American Libraries. Their goal is to create exciting and informative exhibits that increase awareness and appreciation for the health information resources of the NLM. On a dark and stormy night in 1816, Mary Shelley began writing a story that posed profound questions about individual and societal responsibility for other people. To make her point, the young novelist used the scientific advances of her era and the controversies surrounding them as a metaphor for issues of unchecked power and self-serving ambition, and their effect on the human community. Since that time, Frankenstein; or, The Modern Prometheus, has become one of the Western world’s most enduring myths. The story provides a framework for discussions of medical advances that challenge our traditional understanding of what it means to be human. A lecture highlighting this exhibit will be presented by Tom Nurmi on March 12 at 6:30 p.m. to begin the Library’s spring lecture series. 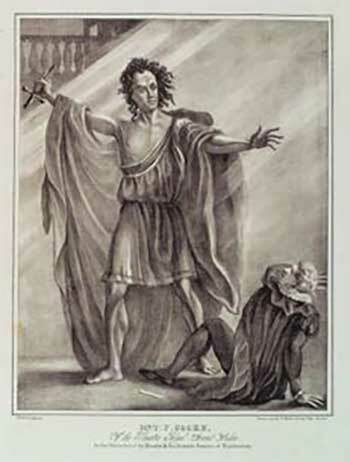 His lecture, The Prometheus Paradox: How Monsters Make Us Human, is based on Frankenstein and the display by the NLM. Those who attend the lecture are encouraged to check out the exhibit as they visit the library. For more information and to learn more about this exhibit, contact reference librarian Eileen Wright at ewright@msubillings.edu or (406) 657-1656.